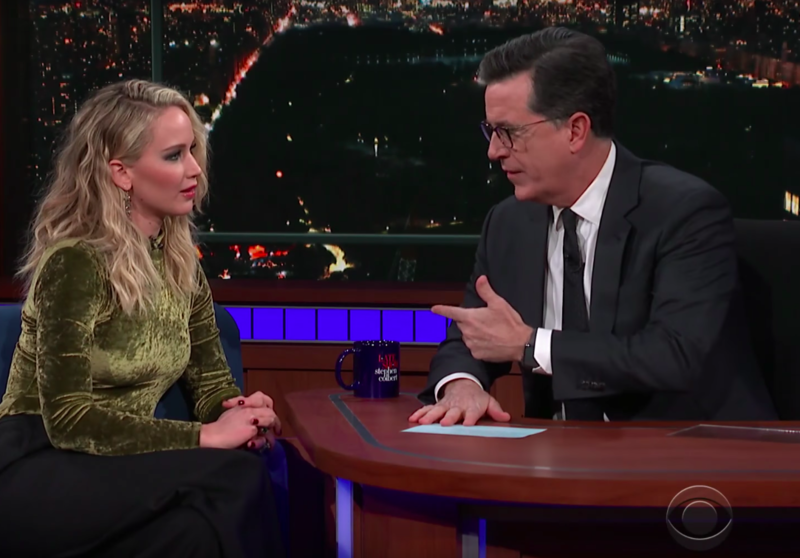 Aside from acting, Jennifer Lawrence is known for not really holding back in interviews – as well as her infamous love of pizza. You always know when you see her on a chat show, you’re going to get great stories, good laughs and some embarrassing moments to boot. In her latest outing on The Late Show With Stephen Colbert, she didn’t disappoint, oh no. As part of the promotion for her upcoming film Red Sparrow, Lawrence went on the show, which got out of hand pretty quickly. It only took three minutes of being sat on his chair for Stephen’s secret stash of Havana rum to come out – and things took a turn from there. After knocking back three large glasses of rum in under ten minutes, Lawrence is understandably a bit looser with her anecdotes and she revealed one little titbit of info about who she flirted with at Amy Schumer’s wedding. Now if you’re thinking J-Law would be flirting with the hottest, most ripped guy at the entire wedding, you’d be entirely wrong. I mean, maybe the guy is attractive to you if you’re into comic geniuses, but I realise it might be a bit of a niche. I was flirting with Larry David all night but it was very one sided. I’m obsessed with Larry David but he’s not obsessed with me. So after the ceremony Amy comes up and grabs me and goes ‘Let’s go upstairs and talk about life, and love’ and like this giant decision she just made. And we go up to the roof and she’s talking about everything and I just went ‘Amy every minute that I’m here, Larry could be leaving’. Incredible. The more I think about it, the more I can actually understand why someone could fancy Larry David, imagine the hijinx! Jen’s been in the media a lot recently (when is she not?) for finally speaking up about her alleged role in the split of Anna Faris and Chris Pratt. 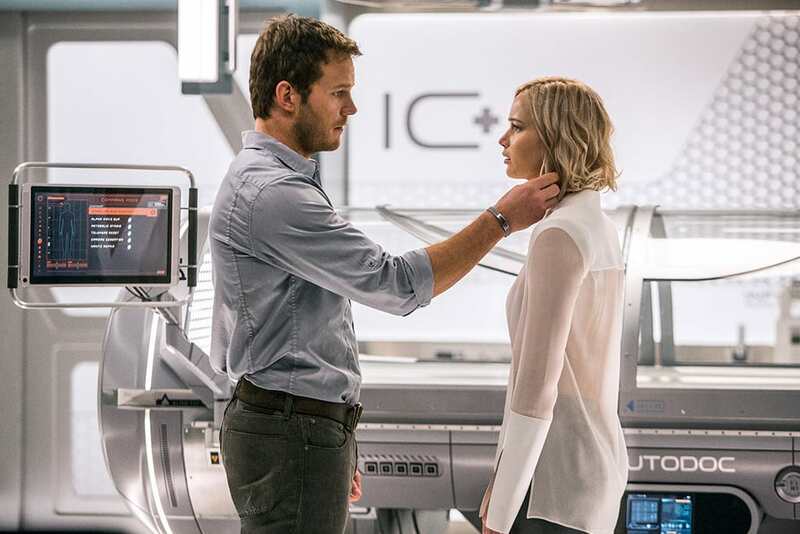 There were numerous rumours of Chris and Jennifer hooking up while filming the 2016 sci-fi drama Passengers – mainly because the pair were simply great friends on set and showed sparkling onscreen chemistry, however these rumours were firmly and repeatedly denied. This just goes to show people need to stop working that rumour mill… wait! 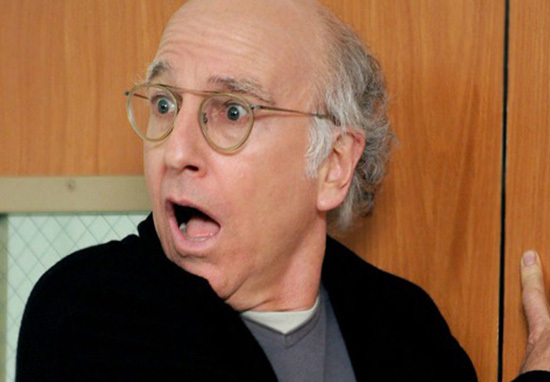 Wasn’t Larry David in Montreal at the same time as J-Law? !